Stations through the Square is a unique, interdenominational, community-wide worship event in Lebanon, TN that occurs annually on Good Friday. 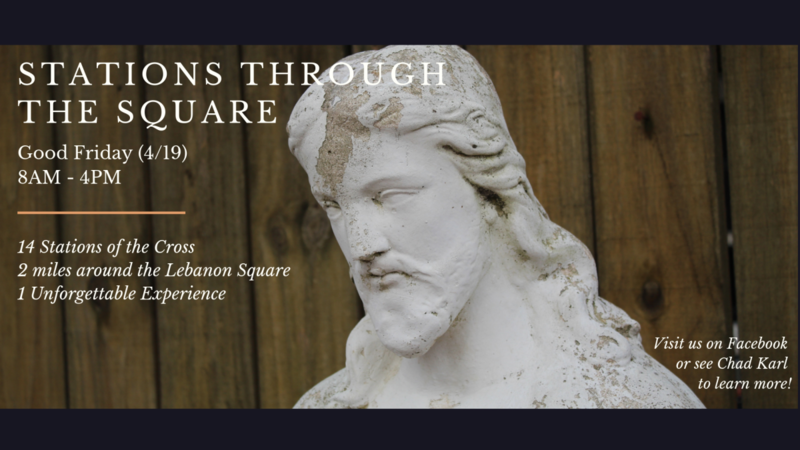 Individuals, families, and people of all ages are invited on this self-paced walk of about 2 miles around the Square in Lebanon, broken up into 14 stops that reflect the Stations of the Cross. Each station is hosted by a different local church and offers reading, reflection, and meditation on that aspect of the Passion story.